Shop Launch – Plus Free Pattern! I’ve finally launched the Alex Lynn Crafts Etsy store! I’m selling handmade items that are cute and a bit geeky. You can see some of the initial lineup below! I have a couple of crossbody bags designed by me and sewn in adorable geeky fabrics (with more to come!). There are also fabric keychains, handmade Shiny Charms, and a PDF plush rabbit pattern! Coming soon are coin/card pouches and a new bag design! 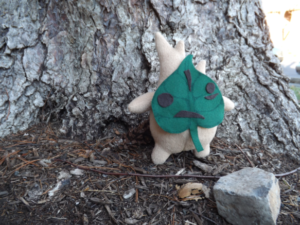 To celebrate, I’m also releasing a free plush pattern – for Makar the forest sprite from The Legend of Zelda: Wind Waker. This pattern has full instructions for making your own Makar (or other forest sprite!). Please enjoy, and give my shop a look! There will be new things added on a regular basis, so be sure to favorite it and check back often. Thank you all for joining me for this huge milestone!